(14) Verification of compliance with the Utah Department of Health’s recommended immunization schedules shall be provided for each individual residing in the home who is not a foster child. (b) If compliance of all residents in the home cannot be verified, the license shall be restricted to only placements of children who are over the age of 2 months and who are immunized in accordance with the Utah Department of Health’s recommendations for their age. 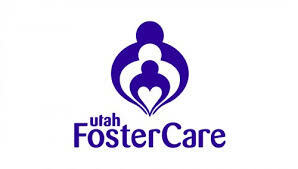 (i) Foster parents must disclose if any individual residing in the home is not in compliance with the Utah Department of Health’s recommended immunization schedules to the child placing agency prior to accepting a placement. What, exactly does this mean to us as foster families? Simply put, each member of your household (who is not a foster child) must show verification of immunizations which are up to date in order to take placements of children who have not yet been immunized. Q: The members of my family are up to date on our immunizations but I don’t have verification. What should I do? Your primary care physician may also have a copy of your immunization records. Q: What if the adults in our home cannot locate our immunization records? Can we choose to be re-immunized? Q: My family prefers not to be immunized. Does this mean we will lose our license? A: Of course not! Nobody is forcing you or your family members to be immunized. HOWEVER, for the safety of those children in foster care who are not current on immunizations or whose immunization status is not known, they will be placed in a foster home where were immunizations of those in the household can be verified. Your license will be valid only for placements of children who are appropriately immunized for their age with the required vaccines. 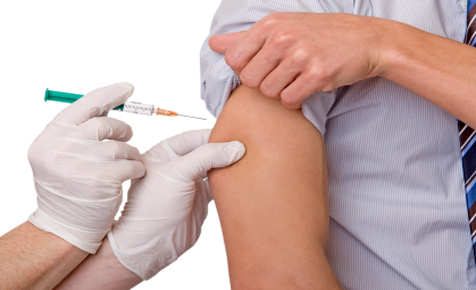 Q: I’ve received the “major” immunizations but I don’t like getting the flu shot. Will this affect my licensure? A: No- Influenza immunizations are optional for licensure unless you want to take in a child who has an immunocompromised condition. Q: Will the Office of Licensing be checking each foster home for verification? A: Because the Office of Licensing may perform an audit at any time it is a good idea to have a copy of immunizations in case your licensor asks for them. Just as our licensors may not check every single cabinet in our home to ensure that medicines and chemicals are locked up, it is better to be prepared than to risk losing your license. A: No. The school and daycare systems can recognize personal, health, and religious exemptions with immunizations because if there is an outbreak parents can simply withdraw their child from school. However, for a foster child there is no equivalent. The risk to the unimmunized child is the same regardless of the reason for not having family members immunized. Foster homes are being treated more like medical settings than schools since they involve care in a very intimate, around the clock setting that the foster child ideally can’t be separated from the same way. Variances for unique situations, especially if the placement is kin, may be granted. Those must be submitted to the Office of Licensing and approved prior to placement of a foster child whose immunizations are not verified. Q: How soon does my family have to comply with these immunization rules? A: The new rule goes into effect October 23, 2015. You will have 60 days from the time the new rule goes in effect. If you know you will not be able to provide this verification within 60 days of the rule going into effect, Office of Licensing would like you to notify your licensor so that they can document that on your license. In addition, you are expected to disclose that status to DCFS prior to taking any new placement of a child that may not be fully immunized. If you have any additional questions or concerns about this updated licensing rule please contact your licensor, Foster Families of Utah at fosterfamiliesofutah@gmail.com, or Diane Moore with the Office of Licensing at dmoore@utah.gov. This is a BIG concern. Most adults do not have records. It is going to be difficult to re-get child immunization shots if even possible at all. One foster parents has been told by her doctor that they will not re-give some childhood immunizations. A blood test will show what you are immune to but some childhood immunizations will not show on such a test. To require verification for adults goes above and beyond what other states have done.